Lilu started as a dream, an ambition for a Gujarati family to start a Pan Indian restaurant serving some of our family recipes. Five years ago this dream we reinvigorated with the passing of our inspiration, my mum. e have spent the past 5 years gathering family recipes and combining them with professional expertise to construct a constantly evolving menu that is true reflection of our journey as a foodie family. We are passionate about our ingredients and refuse to use any artificial colours or flavours, food is served the way nature intended. Here at Lilu we know how important it is to enjoy the experience when you come out to dine. With our contemporary setting, relaxed atmosphere and great food we are sure that you will have a night to remember. Our food & service ethos is a homage to mum, she always wanted to please all guests that visited us, as we now wish to please you. 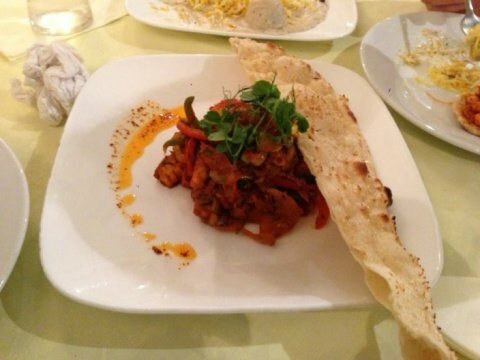 BOOK NOW for National Curry Week to enjoy a dish with all the family!